If everyone could read everyone else's thoughts and know all of their sins, nobody would be friends with anyone. That right there should tell you about the real climate and condition in this fabricated world, because there's a lot of fakery and self-righteousness in the air. Everyone needs Jesus. No man walking this earth is clean, pure and sinless. Only Jesus was, is and will be perfect from everlasting to everlasting. If all of your thoughts and sins were revealed to men, you'd be alone in this world. And if you think the greatest sinners are sitting behind bars, think again. The kenite pharisees, in Jesus time, were murderers and responsible for the death of Christ. They weren't doing time in prison, neither were the corrupt politicians, publicans and money changers. How's it any different today? Except, the wicked have become more clever and now control most of the world, through globalization and ongoing plans for a one world government. The masses in advanced nations have gained literacy, but have lost the ability to think for themselves, and to discern between good and evil. That's not much of a trade off. Don't put your strength and trust in the arms and hands of men, or in their precepts and systems. They will fail you. Put your full confidence and faith in the Rock, our LORD. It all comes down to believing and accepting Jesus Christ as GOD's Son and Savior, and asking Him for forgiveness of your sins. Because without Him, you are indeed alone and you will die alone. Why not have an awesome relationship, with the SON of GOD, Jesus Christ, as your best friend and Savior? Let Him be your everything, because He deserves first place in your heart, soul and mind. There's no greater love than the only begotten, perfect, Son of GOD laying down His life on the cross for you. If you love Christ, then obey His commandments, and love one another, by placing His Word in the minds of men. Romans 5:7 "For scarcely for a righteous man will one die: yet peradventure for a good man some would even dare to die." Jesus didn't die for the self-righteous, He died for sinners. The self-righteous wear Christianity like it's a luxury brand article of clothing. They look to themselves for salvation and interpret the Word through indoctrinated eyes. You'll probably better off amongst heathen acquaintances and friends. At least, you can plant more seeds with non-believers, because new cloth (truth) cannot be sewn onto an old garment, neither new wine (truth) put into old bottles (Mar 2:21-22). Garments comprised of traditions cannot be patched with new cloth of truth. When GOD forgives you, sin no more and move forward with your relationship in Christ. The condition to be a representative of Jesus, even a friend, is to be a doer of His WORD. So how does a friend of Jesus know all things from the FATHER? By studying His WORD. Search the scriptures daily and study to show thyself approved unto GOD, a workman that needeth not to be ashamed, rightly dividing the Word of truth" (2 Tim 2:15). 1 Peter 3:8 "Finally, be ye all of one mind, having compassion one of another, love as brethren, be pitiful, be courteous:"
1 Peter 3:9 "Not rendering evil for evil, or railing for railing: but contrariwise blessing; knowing that ye are thereunto called, that ye should inherit a blessing." 1 Peter 3:10 "For he that will love life, and see good days, let him refrain his tongue from evil, and his lips that they speak no guile:"
1 Peter 3:11 "Let him eschew evil, and do good; let him seek peace, and ensue it." Have compassion and mercy towards others. Gossip and tearing others down are not fruits of the Holy Spirit, but of the heathen and wicked. Seek peace and the ways of the LORD. Treat others how you want to be treated and never fight evil with evil. 1 Peter 3:17 "For it is better, if the will of GOD be so, that ye suffer for well doing, than for evil doing." 1 Peter 3:18 "For Christ also hath once suffered for sins, the just for the unjust, that He might bring us to GOD, being put to death in the flesh, but quickened by the Spirit:"
Jesus Christ came through the matrix, or womb, born of a virgin, so that you don't have to suffer destruction and the lake of fire. By your faith and belief in Him as Lord and Savior, who died on the cross for your sins, and through your repentance to the FATHER, in Jesus name, you can be saved. You receive forgiveness and your soul receives eternal life. Christ defeated death, which is to say, satan. Through the death and resurrection of Jesus Christ, we have the victory over the enemy. When the silver cord is loosed, or the fragile jar, or golden bowl, is broken (meaning death of the physical body), your soul departs from the flesh life and returns unto GOD, who made it. The flesh body is done away with and returns back to dust, the earth, from whence it came, but your soul goes on to live eternally in His kingdom. The WORD was made flesh and dwelt among us. He came to offer His own body as the perfect sacrifice, to atone for the sins of His people. He healed the sick, gave sight to the blind, controlled the winds and waves of the sea, walked on water, and turned water into wine. Why wouldn't you want forgiveness of sins, eternal life, and a relationship which exceeds all others, from the SON of GOD? Jesus, full of grace and truth, can be with you through everything in life and He will never leave nor forsake you. 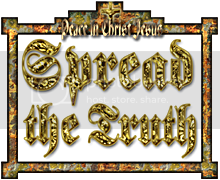 Jesus is the Way, the Truth and the Life. You'll never find a perfect friend in this world, neither will you ever be a perfect friend to others. Back in the 1980s and early 90s, the media dynasty heavily promoted songs and movies about love and friendships. The hidden agenda was to promote the worship of relationships, such as lovers and best friends. GOD was intentionally left out of the equation and true love was based on human relationships, instead of Christ. People bought into the idea of searching for the perfect mate or friends, turning marriage and relationships, between people, into a religion. A spouse, or the search for one, should not become an idol or person of worship. You don't need a spouse to make your life complete, you need Jesus. When you put any relationship, whether with a person or thing, before your relationship with GOD, you'll create a host of problems in your life. Only Jesus is perfect and it requires a perfect person to fit the role of a perfect friend. And if you're blessed with a spouse, don't expect your mate to be perfect, because you certainly aren't yourself. Christ's love and care for you is as close as any man, or woman, who cares for their spouse. Often times, a person's spouse is also considered a soul mate or best friend. The LORD JESUS CHRIST loves and protects His bride. You'll receive that constant protection, if you are part of the many-membered body of Christ. Believe it because it's His Promise. 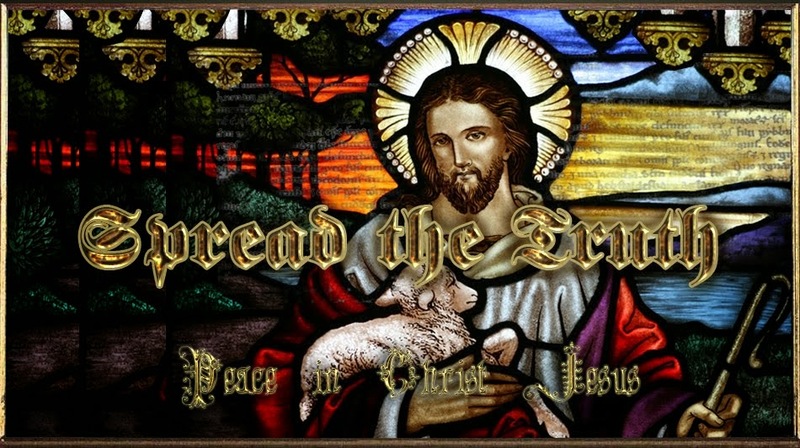 John 13:1 "Now before the feast of the passover, when Jesus knew that His hour was come that He should depart out of this world unto the FATHER, having loved His own which were in the world, He loved them unto the end."